It is claimed that on September 8, 1806, two-hundred and seven years ago today, Brooks Worthington (1806-1894), my 5th great grandfather, was born in North Carolina, most likely in Greensboro in Guilford County, the son of Joab Worthington (1779-1851) and Martha Jane Matthews (1785-1860). Despite this claim, I have not yet been able to find any proof that he was in fact born on this date. It does appear that he was born in 1806, but I have not found a record showing his specific birth date as of yet. He [Alson G. Bodenhamer] was married, November 15 1857, to Esther Worthington, who was born September 12 1836 in Davidson County, NC. She was the daughter of Brooks and Hannah (Green) Worthington, also natives of that state where they were farmers. Brooks Worthington was also an expert shoemaker, and after his removal to Indianapolis, Ind. worked at this business for one year. In 1840, however, he came to Missouri choosing Lafayette County as his future home. There the wife and mother died in 1855. Mr. Worthington was again married, the lady on this occasion being Lucy Lanear. He continued to make his home on that farm until the decease of his second companion, when he moved to California, where his daughter was living. On his return from the Golden State, he spent a few years on the old place, and then went to Carroll County, Ark. where he died December 24, 1894, at the age of eighty eight years. By his first marriage Mr. Worthington became the father of nine children. Charles married Margaret Meadows, and is now living in California. Joab married Eliza Alkire, and is now deceased but his wife makes her home in Indian Territory. John never married, and died during the late war. Elizabeth is now Mrs. Johnson Mulky, and lives in California. Mrs Bodenhamer was the next born. Jacob chose for his wife Elmira Couch, and they make their home on a farm in Boone County, Ark. David is single, and is a resident of the Golden State. Ellen married James Fulkerson, and both are deceased; and Catherine died when six years old. 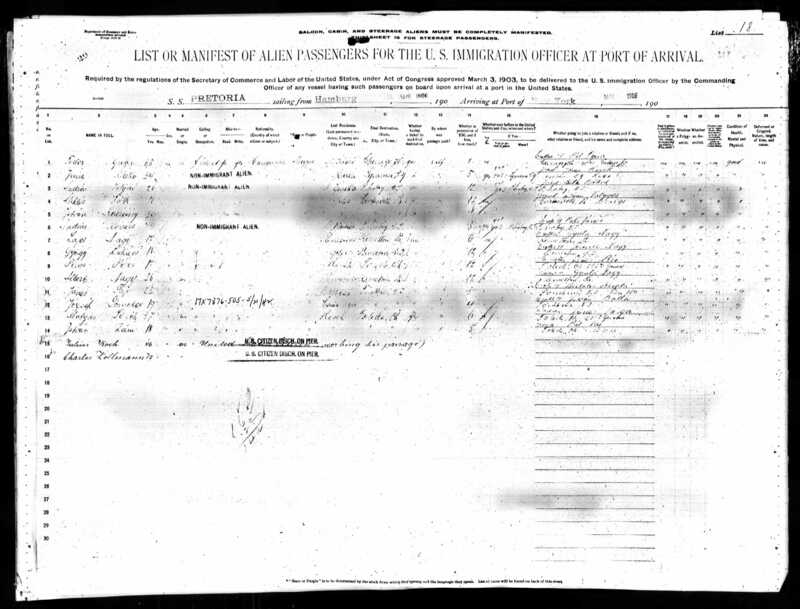 Source for Brooks Worthington’s reported birth date: “Worthington Family of England, Maryland, Virginia and Randolph Co NC Notes” (2011) by Donald Gradeless; and The Worthington Family History Society. On September 7, 1929, eighty-four years ago today, Samuel L. Beeney (1857-1929), my 3rd great grandfather, died in Newark, Licking Co., Ohio. Following his death, Samuel was buried in Cedar Hill Cemetery in Newark. Samuel was born in 1857 the son of Charles B. Beeney (1815-1903) and Christiana Lyons (1824-1901). In 1880, Samuel married Eva Flora McLaughlin (1863-1899), with whom he had five children before their divorce: Charlotte, Bertha, Walter, Alice, and George (my 2nd great grandfather). Throughout his life, Samuel was an educator, eventually opening a Business College in Newark. As an educator of high standing Samuel L. Beeney contributed materially toward Newark’s advancement, and his attention is now devoted to business affairs, in which he has been equally successful. He was born January 13, 1857, in Eden township, and in both the paternal and maternal lines represents old and highly respected families of Licking county. His father, Charles B. Beeney, was a native of England and in early life made the voyage to the United States in company with his parents, Jesse and Mary Beeney, who located in Licking county, Ohio, in 1828, hewing a farm out of the wilderness. Jesse Beeney was a member of the Church of Christ and an adherent of the democratic party. Charles B. Beeney was a cooper and later engaged in farming. Success attended his well directed labors, and his religious and political views coincided with those of his father. In Licking county Charles B. Beeney married Miss Christiana Lyons, a native of Ireland, in which country her parents, John and Margaret E. (Carlisle) Lyons, were married. They left the Emerald isle in 1837 and cast in their lot with the pioneer farmers of Licking county, Ohio, where they spent the remainder of their lives. Mr. Lyons was a Presbyterian and conscientiously followed the teachings of his church. Mr. and Mrs. Charles B. Beeney resided for a number of years in Newark and both passed away in this city. Their family numbered five children, of whom Samuel L. was the second in order of birth. His brother, John W., was born April 1, 1855, and became a teacher. In later life he followed agricultural pursuits and on June 30, 1927, was called to his finale rest. 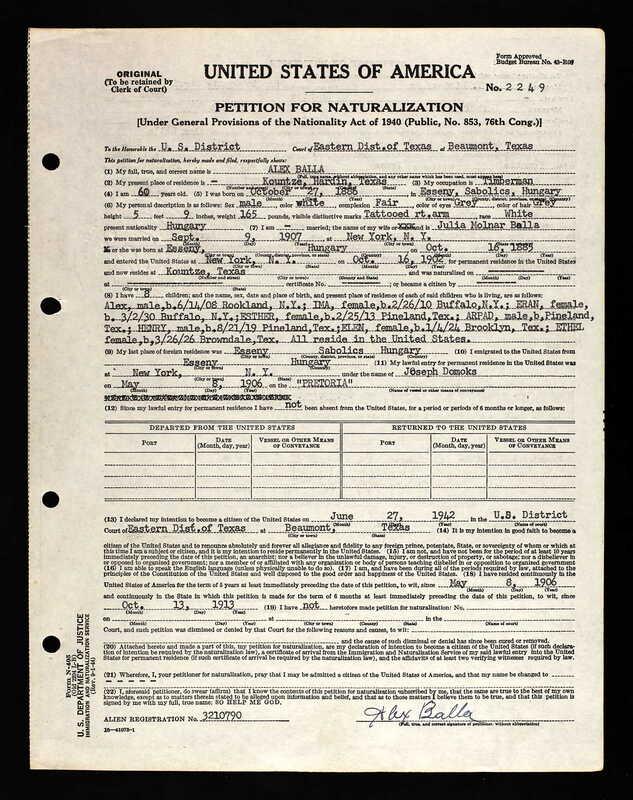 By his marriage with Mattie Warthen, of St. Louisville, Ohio, he had three children : Robert and Howard Beeney ; and Mrs. Mamie Lewis, of Trauscona, Manitoba, Canada. John W. Beeney is survived by his second wife, Mrs. Lena (Metzner) Beeney, to whom he was married in Utica, Ohio, and Edward L., their only child, is living in Newark. Margaret, the next in order of birth, is deceased. Marie is now Mrs. Hugh W. Gorley and makes her home in Newark. Emma is the wife of Henry W. Hansberger, a prominent realtor of Newark. Samuel L. Beeney received his early instruction in the rural schools of his native township and completed his studies in the Teachers Training School at Utica, Ohio. For eleven years he was a public school teacher and in 1885 opened the Newark Business College, of which he was sole owner. As principal he successfully conducted the college for twenty-nine years, developing an institution second to none in the character and thoroughness of its instruction, and since 1914 has been a solicitor for the Hooper Franklin Insurance Agency, making his headquarters in Newark. He specializes in fire insurance and has mastered the art of salesmanship. Endowed by nature with more than one talent, he is an able writer and a frequent contributor to various newspapers. Mr. Beeney established the Ohio Teachers’ Journal, which he edited and published for four years, when he transferred his interest to the National Educator published in Pennsylvania. Mr. Beeney is a strong champion of those movements and projects which make for good citizenship and was active in the war savings campaign. In politics he is a democrat, and his religious views are indicated by his affiliation with the Church of Christ. 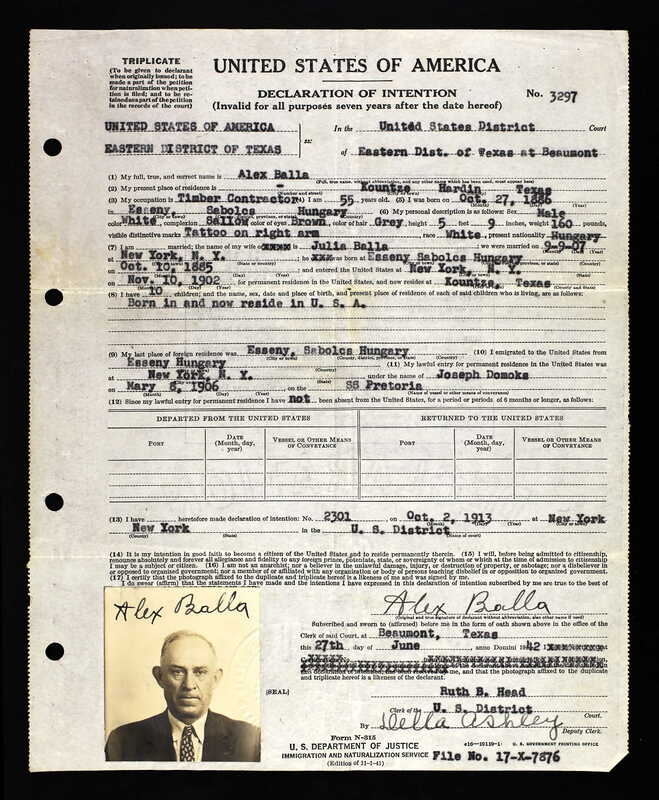 Traveling affords him much enjoyment, and he has visited nine countries, including the Holy Land, thus broadening his outlook upon life. He is interested in those things which have cultural value, tending to raise the individual to a higher level, and his personal qualities are such as make for strong and enduring regard. On August 10, 1715, two hundred and ninety-eight years ago today, John Stearns (ca. 1692-1765) and Deliverance Bigelow (1695-1762), my 7th great grandparents, were married in Watertown, Middlesex Co., Massachusetts. Following their marriage, John and Deliverance remained in Watertown for a few years, where their first two children were born. By about 1720, they relocated to Worcester, Worcester Co., Massachusetts, where they had at least nine more children. On July 18, 1933, eighty years ago today, Harry Carl Hamilton (1891-1960) and Goldia “Goldie” Mae Worthington (1912-2006), my maternal great grandparents, were married in Boone Co., Arkansas. An interesting item found on the record for their marriage (shown above) is the fact that Harry claimed he was 38 years old, which would have made his birth year 1895, when he was actually 42 years old, being born in 1891. Although the difference in his real and reported ages is not that significant, perhaps a 38 year old marrying a 21 year old sounded a little better to them (or just Harry) than a 42 year old marrying a 21 year old. It is also possible that Harry made the change in order to prevent people from his past tracking him down, something he wanted to avoid by all oral accounts. Following their marriage Harry and Goldie lived in Harrison, Boone Co., Arkansas, where they had the first two of their seven children. In about 1941, Harry relocated his family to Oklahoma, where they had their remaining children. Back in March 2012, NBC’s genealogy TV series called Who Do You Think You Are? ended its third season, after which the network decided not to renew it, shocking the millions of viewers that tuned in to watch well known celebrities research their ancestries. Recently, however, the series was picked up by TLC, with a new season beginning July 23 at 9/8c. According to the show’s website, the celebrities that the new season of Who Do You Think You Are? will feature include Kelly Clarkson, Christina Applegate, Chelsea Handler, Zooey Deschanel, Jim Parsons, Cindy Crawford, and Trisha Yearwood. Click here to visit the new Who Do You Think You Are? website and view previews. 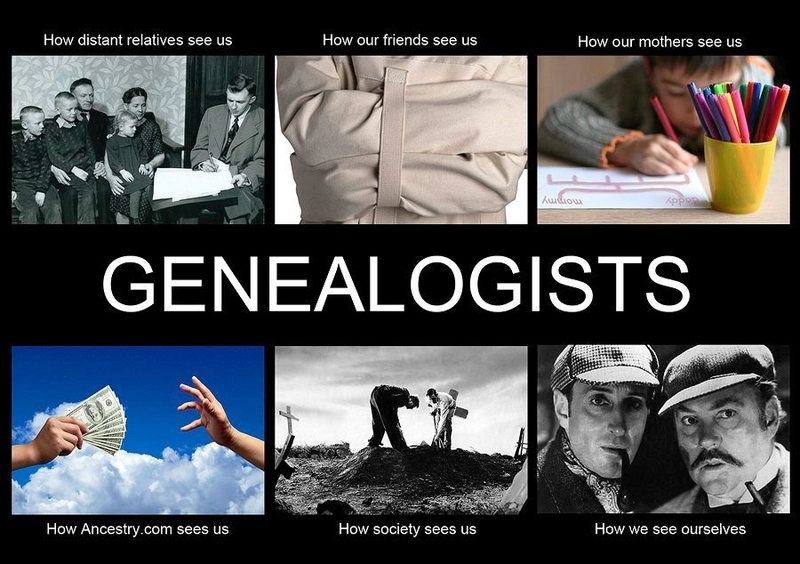 Categories Genealogy News•Tags family history, genealogy, Genealogy News, Who Do You Think You Are?